Quality images in any conditions. Porro prism. Magnification: 10x. Objective lens diameter: 50 mm. The world is beautiful in all its details! 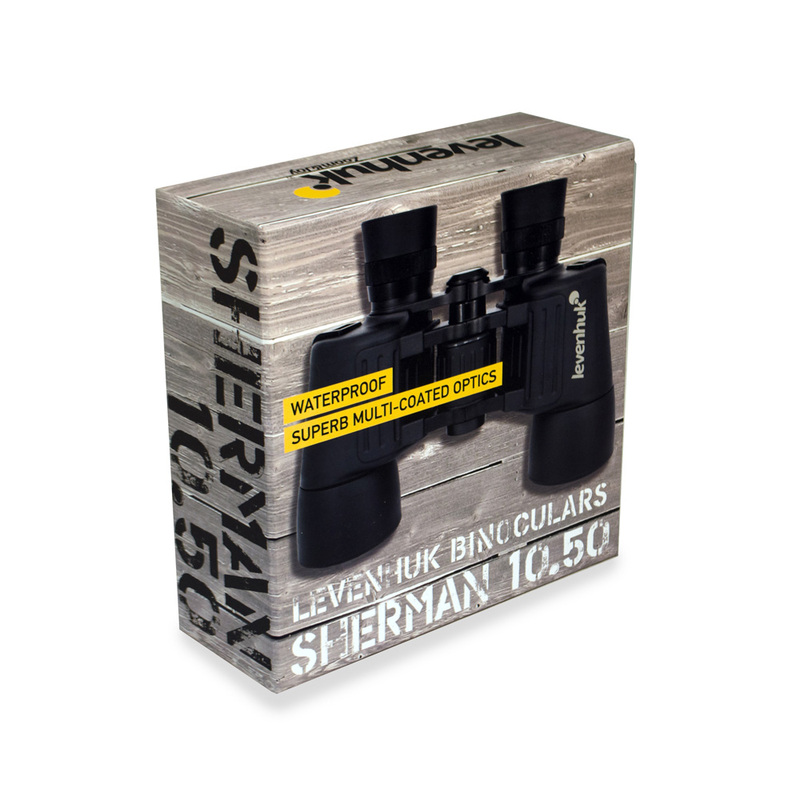 With Levenhuk Sherman 10×50 Binoculars you won’t miss a single one of them! 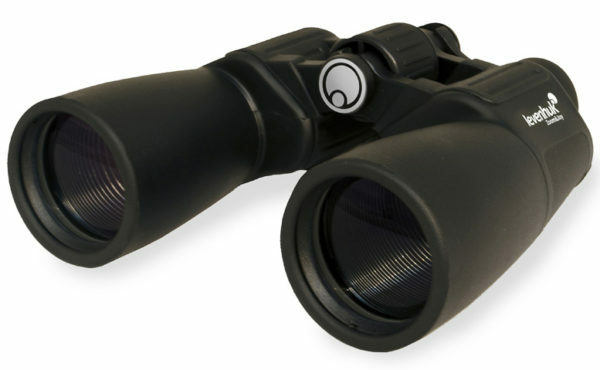 Powerful 10x magnification allows you to see highly remote objects, and their high aperture objective lenses provide great visibility even in twilight. The waterproof shell allows you to observe in any weather – a sudden rain or snow won’t interfere with your plans! Superb optics quality, convenient design, and reliability – yes, all these advantages are gathered together in these ideal field binoculars! The optics are made of high-quality BaK-4 glass. The classic Porro-prism design eliminates any light loss inside the binoculars. For better transmission of light the lenses are coated with multiple layers of special anti-reflective coating. The powerful objective lenses gather enough light to produce bright images even in low light. To prevent optics fogging, the shell is filled with nitrogen. Levenhuk Sherman 10×50 Binoculars create sharp, clear, contrast, and highly detailed images with perfect color rendition in any weather conditions. Levenhuk Sherman 10×50 Binoculars are a beginning level instrument. 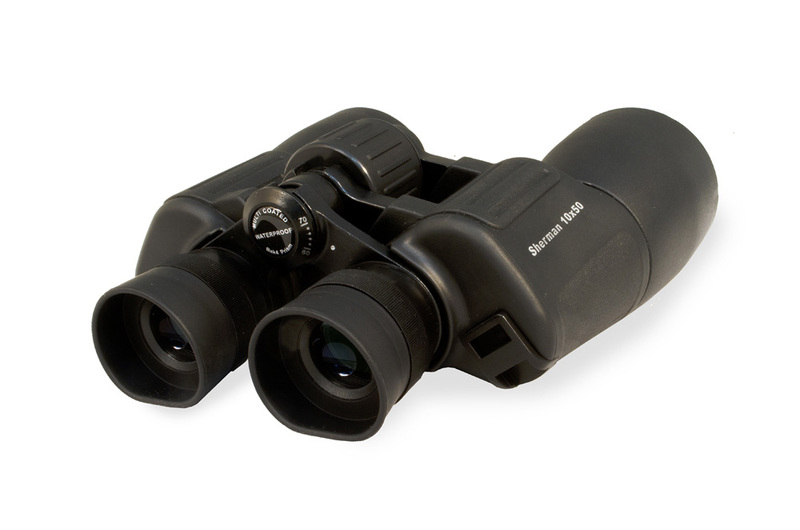 The binoculars are easy to use, and they don’t require a complicated setup. But, at the same time the binoculars can be easily adjusted to the individual user’s eyesight: You can change the interpupillary distance, and there’s also a diopter adjustment ring on the right eyepiece. The long eye relief makes the binoculars suitable for eyeglasses wearers. 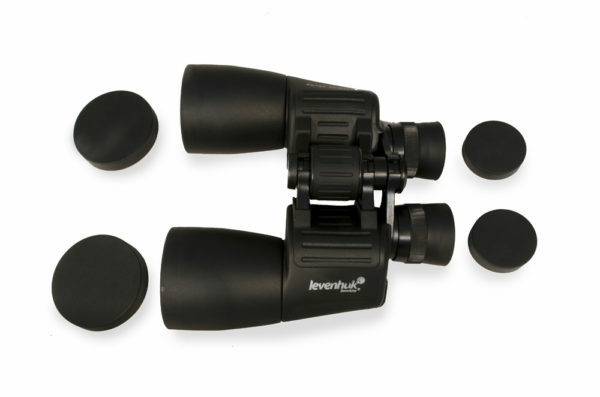 The eyepieces are equipped with eyecups made of soft rubber that you can easily turn off when you don’t need them. The shell is hermetically sealed – neither dust nor dirt will penetrate the binoculars. The dense rubber coating of the shell allows for a comfortable and secure grip. There’s also a special jack on the binoculars’ body – for long-tem static observations the instrument can be installed on a tripod (the tripod is not included in the kit).